A few months ago I realised that for the first time in decades I had no valve power amplifiers in my system. Scary. So I kept an eye out for any valve amplifiers that may be of interest. The UK’s Bristol Show came and went and although there were some valve amplifiers of interest, none excited me enough to ask for a home demonstration. In February I visited the Oxford Audio Unison Research event. I like these local shows as the dealers get a better sound quality than trying to squeeze good sound from a less than ideal hotel room. One of the systems had a really great musical sound. 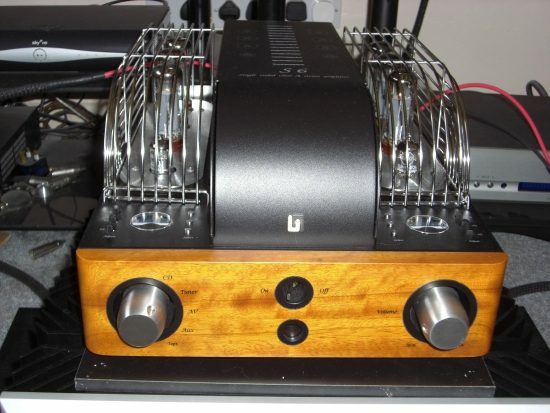 It was not the most expensive and was not the best ‘hifi’ but it really played music and featured the Unison Research S6 amplifier. 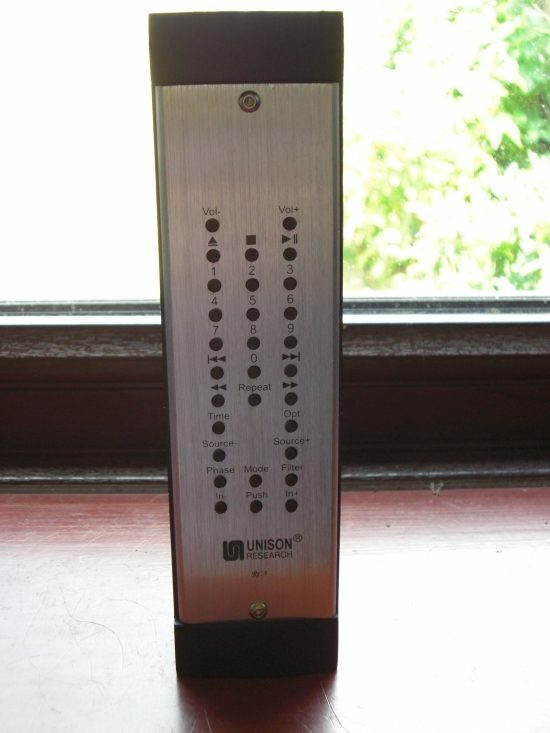 I was sufficiently intrigued to go out and get a Unison Research S6 amplifier and try it in my system. This amplifier is unusual and very Italian. Not too surprising as it is made in Treviso, Italy. 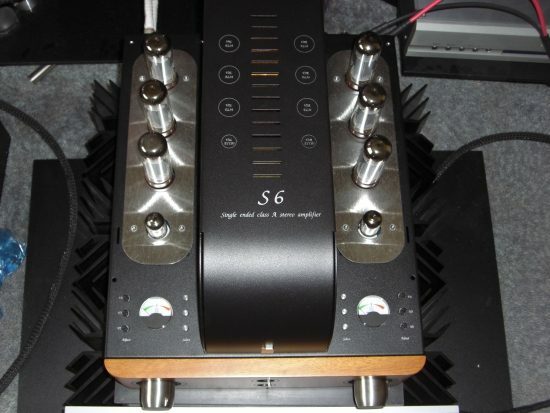 The S6 is a Class A, single-ended triode amplifier that uses 6xEL34 valves to drive the speakers. Yes, 3 EL34s per channel. The EL34s are wired as triodes and as there are three they put out 35 watts/channel, which for a triode amplifier is a fair amount of power. A single ECC83 (12AX7) drives each channel. The S6 is heavy at 55lbs and that shows a lot of thought has gone into the design of the transformers, vital for a valve amplifier. 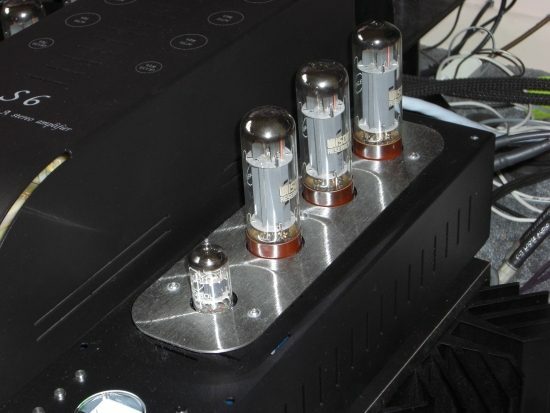 The valves are on each side of the backbone of the amplifier with the backbone housing the output and mains transformers. When operating this backbone gets rather hot although not as hot as the protective cage around the valves (required by EU law). Unlike a lot of protective cages, the S6 cages have been cleverly designed and do not look like add-on kludges. 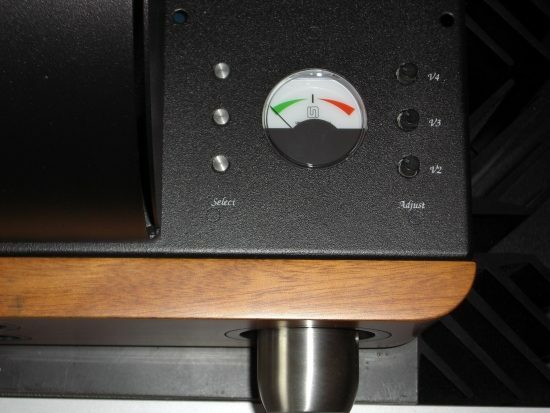 The whole amplifier is very Italian and really well designed and although it is fairly simple it is a real looker. When my other half saw it she said ‘that looks great, really retro’. And she is right (as always). Even the remote control (volume only) has a solid wood back that allows the remote to stand on its end. One of the real bugbears with valve amplifiers is the user has to bias the valves. In some amplifiers, this meant putting meter probes into the amplifier when it was turned on, whilst using a plastic screwdriver to adjust the bias. At the same time, you have to avoid touching the very hot valves or even worse anything at a high voltage (in some cases potentially lethal voltage). Oh, what fun! Fortunately, more recent valve amplifiers bring the measuring and adjustment out of the deep innards of the amplifiers and onto the outside of the case. This makes life easier. The S6 goes a step further and has an auto-circuit to get the bias close to the right value and the user adjusts/tweaks the bias to get the exact value. To do this there are two meters, one for each set of three EL34s. To measure a power valve you press a button that shows the reading on the meter. The meter has a centre line denoting the correct result. To adjust the bias each power valve has its own adjuster. So each valve is measured and then the individual bias can be set. Easy peasy and probably the easiest I have ever used. I adjusted the bias after a warm-up period and found it was pretty stable and only needed the smallest of tweaks every month or so. 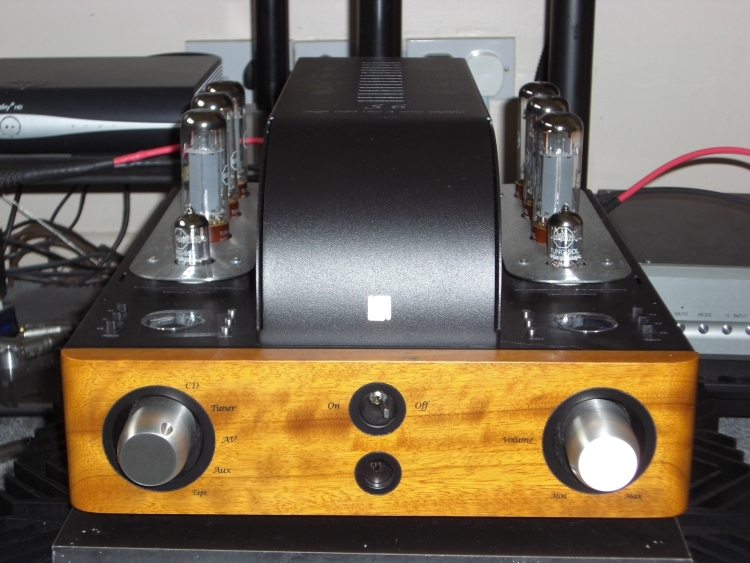 As this is an integrated valve amplifier there are 5 RCA inputs and of all things a set of RCA tape outs. A blast from the past. Unusually the S6 only has a single set of 6-ohm outputs. Unison Research only provides one set of outputs that should match the majority of newer speakers. Modern speakers have moved away from the standard 8 ohms and a lot are nearer to 4 ohms. I encountered no problems with my Audionote E Silver Signatures but they are an easy load being a resistive load close to 6 ohms. Their very high efficiency helps as well. As we are all now energy conscious I should point out that the S6 consumes 270watts when being used and as it is Class A it consumes that power whether being driven flat out or not. So I slotted the S6 into my main system of Audionote CD4.1 CD transport, AN 4.1x DAC, AN E Silver Signatures with Cut Loose silver ribbon cables throughout. I used the Pass labs XA30.8 as a stand for the S6, with some isolation provided by HRS feet. Oh, what an indignity for my Pass Labs!! 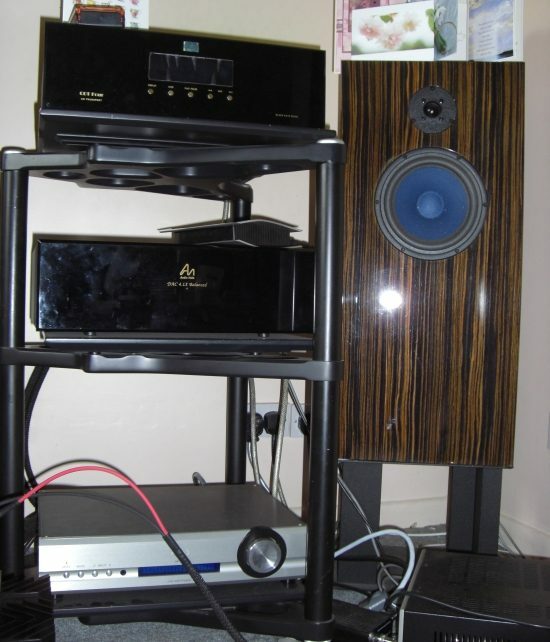 I also used my vinyl system of Voyd 0.5 Reference, SME V and Audionote Io with an AN M6 phono stage. I turned on the amplifier and left it for an hour to let things really warm up. The valves looked superb, especially at night, when the EL34 glows could be seen and were very atmospheric. So I lined up my set of test tracks got out my reviewers pad and pen and set about listening to this amplifier. An hour later I had written…….absolutely nothing. I was captivated. This system was really telling me not only how well the music was recorded but far more importantly what the music was about, the musical message. As I expected, the EL34s reproduced the mid-range superbly well and male and female vocals sounded very realistic. But what emotion was the singer putting into the song? Anger, fear, love, or ‘I couldn’t care less’. It all came through. It may be the ability of the valves to clearly amplify the micro-dynamics making the inflections in the singer’s voice show what the singer was trying to communicate. The S6 is a master at this. 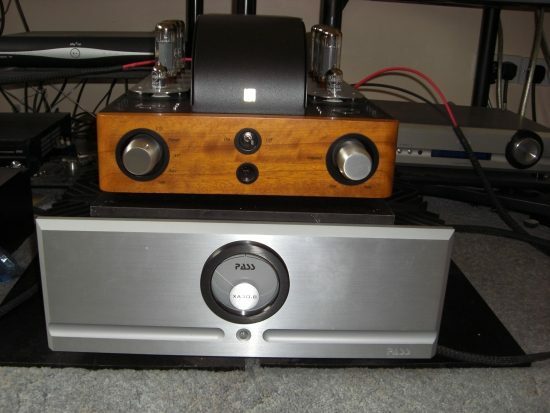 The Pass Labs does it extraordinarily well for an SS amplifier but the voices do not have the realism of the S6. OK but what about the weak spot for triodes the frequency extremes and dynamics? Well, the bass is probably the tightest I have heard from a triode amplifier apart from the ultra-expensives and certainly better than a lot of pentodes. No, it could not match the Pass Labs XA 30.8 but that is an exceptional SS amp. The bass was always weighty and drove the music along at a great rate. The tonal character of bass instruments was very well portrayed and it was easy to hear the tonal qualities of many string bass instruments instead of a hearing a heavy amorphous note that some amplifiers give. Yes the bass was a tad heavy and ultra-tight timing is not its forte but I would rather have this type of sound than one where the bass character and weight changes (disappears) depending on the frequency of a bass note. Bass instruments were always clear and easy to hear. The S6 is a bright amplifier but it does not have the top end sparkle of some. However, with a lot of compressed, modern digital recordings that may not be a big disadvantage. At least it does not have a sawn-off top end with a fat bass character of some triodes, it is not a ‘pipe and slippers’ amplifier. Cymbals sound like metallic musical instruments, which is exactly what they are. But this dissecting of the music into bass, mid and treble completely misses the main point of music and this amplifier. How well do all the musical instruments integrate and how well is the musical message communicated by an amplifier? The S6 is an expert at this. So much so that I can forgive the tiny problems it does have to get that realism of both the people making the music and the message they are trying to communicate. Play Dawn Langstroth’s You Don’t Want me and yes it is a very good recording from Linn (even if Autotune was used) with a nicely recorded piano but this is about a failing love. When you play the track do you hear a forlorn love or just a nice tune? Dystopian Overture from Dream Theater is all about crash, bash and power music but what an awful future is being portrayed, one with no music. Mercedes Sosa’s Misa Criolla has you in a large environment, with natural echo of a very natural recording but does the music have you holding your breath trying not to disturb the moment? In all three cases, I started by listening to the ‘test track’ but ended up listening to the whole album. So if you are someone who must have all the details from a piece of music, with a flat frequency response, no colourations, then this may not be your kind of amplifier. But if you want a very good reproduction of those qualities but with a clear musical message then the S6 is a great priced way to get there. This amplifier is £3,100 in the UK and to me, that is an extremely reasonable price for this quality of sound. The fact it comes in a beautiful package makes it that much better. Valves without the pain. Yes. A superbly musical sound. Yes. What is holding you back?? Nothing here, it stays and continues to play real music. I own a Unison Simply Italy since a few years, the smaller model with two EL34’s. Also a great little amplifier. Thanks for the review and for hifi-advice. Jan, Thanks for your comment. I have heard the Simply Italy and provided that it is not overdriven it has that same wonderful EL34 SET type of sound. I have heard them driving a Klipsch loudspeaker (very efficient) and they drove the speakers really well and did not accentuate the slight edge that these speakers can have. Nice review and nice amp, the only thing is i don’t know how to use in Central Europe during summer. I had SimplyTwo Anniversary Edition, but had to sell it because my speakers were not sensitive enough, only to be astonished at the buyer’s place to hear such amount of bass and speed – his speaker were some big monsters over around 92dB or more. It was also pretty hot in summer. One thing that completely brought the SimplyTwo to whole new level were NOS Siemens Triple Mica E82CC. They were so good that i kept them after i sold the amp, just in case i will use them in future.